Heartburn is a common alimentary canal disorder where a stinging burning sensation arises below the chest area due to the reflux of stomach acids in the oesophagus. This reflux occurs due to an opening of lower oesophageal sphincter or LES which gives way to the acid to flow in opposite direction and causes discomfort. It is generally caused by poor diet and lack of exercise but can occur due to several other pathological reasons. Heartburn is felt by most adults and can be treated spontaneously by changing diet but persistent heartburn and negligence can lead to its chronic form called Gastro-oesophageal reflux disease (GERD). Several home remedies can help, Vinegar is one of them. How to Take Vinegar for Heartburn? The burning sensation in heartburn is attributed to the excess acid in the stomach that flows back to the oesophagus. Hence, it may sound a little out of way to consume vinegar, which is acetic acid to cure heartburn. However, vinegar has been proven to be one of the best cures for treating preliminary heartburn cases. There has been a little research on how vinegar alleviates heartburns and there is a lack of consensus among researchers if it can actually do so, but people have been using it in folk medicine to temporarily treat low levels of acid refluxes, successfully. There are a few proposed mechanisms by which vinegar reduces acid refluxes. 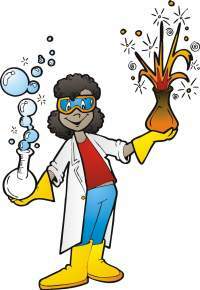 It has been proposed that vinegar is a mild acid than HCL, the stomach acid. This result in a competition and a reduction in the overall pH of the stomach which reduces discomfort caused due to heartburns. Vinegar is an important constituent of apple cider vinegar along with other mild acids like tartaric acid and citric acid. It is a well known anti-heartburn drink being consumed since decades. The vinegar per se or apple cider vinegar is also thought to tighten the sphincter muscle. The sphincter muscle allows acid to reflux back because it gets lose and can no longer guard the stomach entrance. Evidence from researches suggests that the astringent effects of vinegar work to contract the muscles of the stomach, including the sphincter muscle; thereby making it tight enough to not allow the acid to reflux back in the oesophagus and cause heartburns. There has been a considerable amount of research on the effects of vinegar on the fat breakdown. This indirectly relates to heartburn because heartburn is also caused due to ingestion of high fatty food, which takes a longer time to break down and get digested which in turn creates pressure on stomach and sphincter muscle. This leads to acid reflux and heartburn. When vinegar is consumed, it breaks down fats faster and helps speed up the digestion, thereby relieving the stomach of the pressure and heartburn. Vinegar, especially apple cider vinegar is known for enhancing the digestibility of food. If taken daily, it can prevent heartburns. It has the capability to stimulate the production of gastric juices and pancreatic enzymes which quickly digest the food. It also improves the absorption of food in the intestines as well as the elimination of the waste matter. All these properties indirectly help in reducing heartburns and refluxes. Vinegar is very sour to taste and can pose considerable problems to taste buds while consumption. Also, since vinegar is 5% acetic acid, it can be caustic to the tissues and should be diluted considerably before ingestion. There have been reports of ulceration of oesophagus due to consumption of undiluted vinegar. There have been a wide variety of inventions to formulate mixture containing vinegar, which would make to more ingestible, without causing harm to the gut tissues. A variant of vinegar, apple cider vinegar is widely consumed on daily basis by some people as a means for maintaining the gut healthy. This is also a bitter liquid and can be taken with honey to reduce the pungent taste. A spoonful of apple cider vinegar in a glass full of water or some pickle juice daily has shown to alleviate heartburn symptoms . There is a variety of vinegar available in the market, viz. Polished and unpolished rice vinegar, apple cider vinegar, balsamic vinegar, and Chinese vinegar. Though vinegar, in general, has almost zero nutritional content, they might have traces of essential elements and some enzymes such as in apple cider vinegar. These contents vary in vinegar produced from different sources and by different methods . Apart from being different in elemental and enzymatic contents, they may also differ in taste depending on their age. The choice of vinegar, however, to be made for treating heartburns, should depend upon the contents of the vinegar. For example, natural, fresh unpasteurized and non-oxidized apple cider vinegar is best for seeking relief from heartburns because it retains some enzymes which might be lost in old/aged pasteurized and oxidized vinegar. 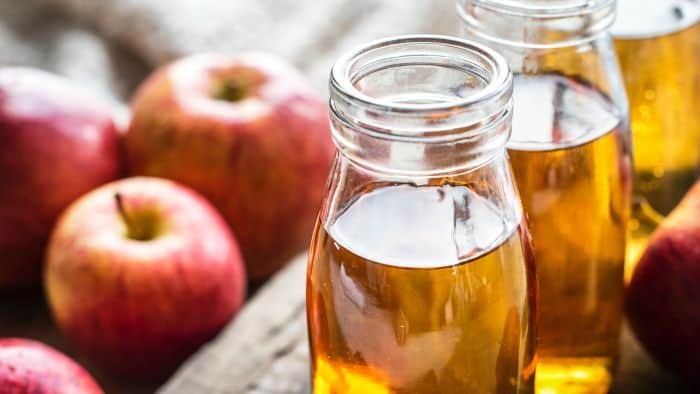 Also since apple cider vinegar’s source is more nutritional than the other commercially prepared ones; it is most preferred and prescribed vinegar of choice to be taken during heartburns. Instead of consuming it in raw diluted form, vinegar can also be added to salad dressings, cocktails, smoothies or it can be used while cooking food. This makes it more palatable and easier to consume. In fact, regular use of moderate amounts of vinegar in food and drinks has been shown to be beneficial to keep the gut healthy and body, fat-free. Raw vinegar dosage depends upon doctors’ prescription but in general, effective vinegar concentration is about a teaspoonful mixed in a glass of water (about 250 ml). Vinegar is always to be taken in a diluted form, preferably after meals or in meals as a part of the food. It can also be mixed with a teaspoonful of honey or sugar to make it more ingestible. As mentioned above, it can cause corrosion of the gut tissue if taken in an undiluted form or in excess amounts without doctors’ advice. Apple cider vinegar can be taken by dissolving a tablespoon in little water, about ten minutes after the meals. This, as indicated above, improves digestion and keeps the gut, reflux free. Vinegar rarely shows any side effects, but those appearing should not be ignored. It should not be taken with laxatives and painkillers as it might cause an adverse effect. Vinegar can cause ulcers and oesophagus injury if taken in high concentrations for a long time. Chronic inflammation in oesophagus increases the risk of cancer, a rare but plausible occurrence due to vinegar; hence, it should be consumed with care. Vinegar is a miracle liquid which finds many beneficial therapeutic uses in diabetes, digestion, weight loss, cardiovascular health, and antitumor activity. In heartburn, it improves digestion, reduces the corrosive effects of HCL in the stomach, breaks down fats and tightens the sphincter muscle. Among many types of vinegar available, apple cider vinegar is found to have the most beneficial effect on the gut. However, its consumption should be strictly regulated and diluted because of its corrosive effects on the tissues.